Tag Archives for " Matt Press "
4	Is Your ‘About’ Page Ruining Your Chances of Getting a Referral? Every business has a website, right? It is your shop window; the place where people learn about you, your brand and the products or services that you’re selling. And due to our heavy online usage habits, it’s also the place that dictates the sustainability of a company. You see, every business needs to be liked. Meaning that almost two thirds of consumers make a purchase because someone they know has recommended a particular product or service. On your website, there’s one page that’s more important to securing referrals than all the others. In this post, I’ll tell explain exactly why this page is so important. 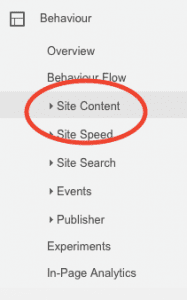 I’ll give you some simple pointers that’ll help you create a killer piece of content to sit in this area of your site. And finally, I’ll also reveal how to tell if your ‘about’ page is failing you. The ‘about’ page – what’s the big deal? This is where your prospective customers get to know you – the place where they form those all-important first impressions. And it’s these very impressions that will make or break your chances of getting a referral. As consumers, we use the extra details that we learn about a brand on this page as backup in case we’re undecided about whether to buy something. A good ‘about’ page pushes a lead further down a sales funnel, either consciously or sub-consciously. If we’ve subsequently given our prospect a great service, we build on those good early impressions (again, either consciously or sub-consciously). Then, it’s only now, at the end of the customer journey, that we potentially reap the ultimate reward: the referral. As you surely know, this is the best and most powerful form of marketing there is. And it’s all thanks to the first step: the ‘about’ page. However, creating a quality piece of content in this area clearly isn’t straightforward, otherwise more businesses would do it. Despite the importance of the ‘about’ page, this is the section of a website where a company traditionally drones on about how many years they’ve been operating. Or how many offices they have scattered across the world. A good ‘about’ page will empower your brand and make you memorable. For many business owners who are tasked with creating content for their websites, the ‘about’ page is usually given low priority status. Yet this is a huge mistake – it’s ignoring one of the oldest clichés in the book: that people buy from people. An ‘about’ page is critical to a website’s success. It’s your chance to step away from the boardroom and reveal the people behind your brand. But an ‘about’ page is about much more than just providing an opportunity for chitter-chatter. This is about creating copy that will help establish some of the main pillars that people need to see and feel before they part with their hard-earned cash. We’re talking about factors such as trust, integrity, authenticity, personality and morality. In summary, your ‘about’ page needs to ‘wow’ visitors and impel them to recommend you to the people in their lives. After all, referrals are how you create a memorable brand; one that will enjoy a stable future. So, what can you do about your page? For starters, don’t be self-obsessed. You have to put yourself in a visitor’s shoes. Suppose that you’ve just landed on a website. What do you need to hear in order to convince you to make a transaction? Which businesses do you trust, admire and respect? Chances are, they’ve convinced you through having a clear and consistent content strategy. To that end, ironically, your ‘about’ page is more about ‘them’ than it is about you. Take time to establish your core values. Think about your customer pain points (why are they even considering buying from you in the first place?). Then map out your content and make sure that everything you’re saying is relevant to the customer. With all due respect, all things being equal, they don’t care whether you’ve been trading for 10 years or 10 minutes. They don’t care about industry awards they’ve never heard of. All they care about is what they can get out of their time on your site. Can they get what they want? To that end, what you have to say about your business isn’t really the point. By contrast, you should actually focus on what your visitors need to get out of their time on this section of your website. Here’s a quick X-step process to find out whether you could do a better job with your ‘about’ page. 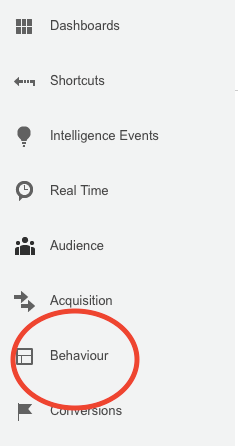 After opening up your Google Analytics account, click on Behavior. Now click on All Content. You should automatically land on the first option: All Pages. What you’re looking at is a breakdown of what people are doing on each of the pages on your website. Now find your ‘about’ page. Most businesses will see this in one of the top 10 most-visited pages on their website, but if it’s not there, then go through the other pages until you find it. 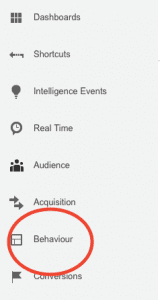 Once you’ve found the stats for your page, look at the column under bounce rate. As you may or may not know, your bounce rate reveals how many people are leaving a certain page without taking any other action. In other words, they’re either not finding what want or aren’t liking what they see. Clearly, the lower the bounce rate is for your ‘about’ page, the better the job it’s doing. If your bounce rate for your ‘about’ page was 100%, everyone’s leaving after reading your copy and you’re doing terrible. If it’s 0%, your ‘about’ page has definitely piqued their interest and you’re doing great. But those examples aren’t that helpful. So the big question is, what bounce rate should you be aiming for? In truth, there’s no clear right or wrong answer. Having said that, research does tend to indicate that a bounce rate of 25-30% is very good (and probably as good as it’ll get). Most businesses will probably see a bounce rate in the region of 55-85%. And it’s those companies, the vast majority, who can improve their ‘about’ page. All the top entrepreneurs always say that it’s the little details that yield the big results. So surely it’s worth putting some effort into your ‘about’ page? 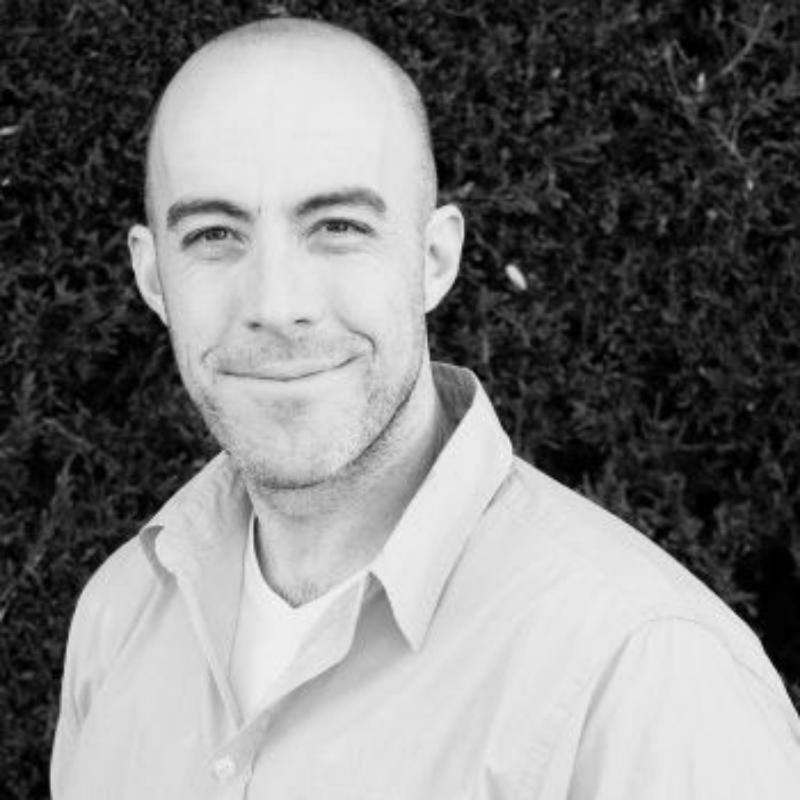 Matt Press is an experienced copywriter who has written for some of the UK’s biggest brands, such as Sky, Three and Vodafone. He now runs his own content marketing agency, Splash Copywriters.